A large-scale clinical trial evaluating whether high-dose vitamin D3 supplementation could benefit patients with colorectal cancer (CRC) is being planned on the back of positive final data from a smaller-scale study, which found that high-dose vitamin D3 supplements can help to extend progression-free survival (PFS) in CRC patients undergoing chemotherapy. Newly published results from the Phase II SUNSHINE trial comparing the effects of low-dose and high-dose vitamin D3 showed that higher doses of the vitamin extended CRC PFS from 11 months to 13 months. Patients in the high-dose cohort were also 36% less likely to have disease progression or death during the 22.9 months follow up. The trial wasn’t powered to determine benefits of vitamin supplementation on overall survival. Experimental evidence suggests that vitamin D has antineoplastic activity, and observational studies have indicated that high levels of vitamin D can reduce colorectal cancer risk and also improve survival among CRC patients, the authors stated. 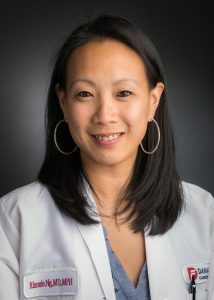 A prospective analysis of Phase III data from a trial evaluating more than 1000 patients with metastatic CRC enrolled in a Phase III trial evaluating chemotherapy plus biological agents also found that patients with higher blood levels of 25-hydroxyvitamin D—the best indicator of vitamin D status—had much better overall survival and PFS. “However, observational studies are not able to discern whether higher 25-hydroxyvitamin D levels play a causal role in improving survival, are simply a surrogate of better health, or a reflection of more favorable disease,” the researchers pointed out. To investigate this in a dedicated trial setting researchers designed the randomized Phase II SUNSHINE study to test whether high doses of oral vitamin D3 could improve outcomes in patients with previously untreated advanced or metastatic CRC. Participants were enrolled at 11 academic and community centers across the U.S. between March 2012 and November 2016. The 139 patients all received standard chemotherapy using mFOLFOX6 plus bevacizumab, and were randomized to receive either a high dose of oral vitamin D3—4,000 international units (UI)/day—or a standard daily dose (400 IU/day), which is about the same as is found in a multivitamin. The primary endpoint was PFS, measured as the time from the start of chemotherapy and vitamin D3 to first occurrence of disease progression or death. Secondary endpoints included tumor objective response rate, defined as the proportion of patients demonstrating partial or complete responses, and overall survival. Change in plasma 25-hydroxyvitamin D levels were also measured as another secondary endpoint. 25-hydroxyvitamin D tests indicated that only 9% of the patients in the clinical trial had sufficient vitamin D at the start of treatment. 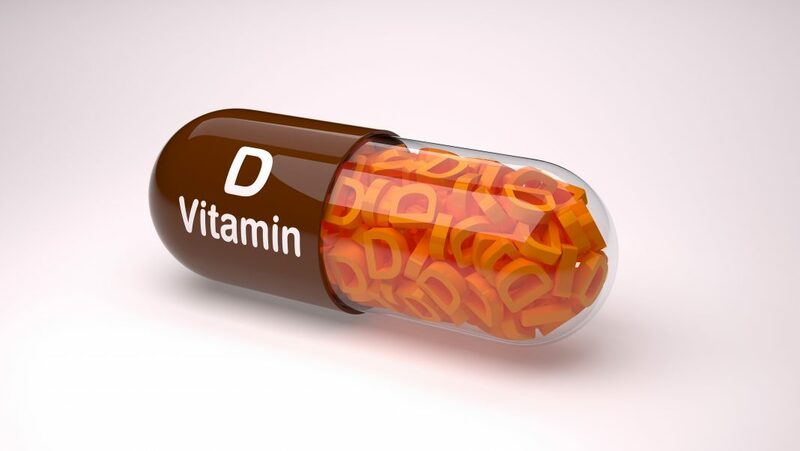 Over the course of the study, patients receiving the low dose had no substantial change in their vitamin D levels, while those in the high-dose group soon reached and maintained a sufficient level of vitamin D.
Although the increased PFS exhibited by high-dose vitamin D3 cohort of patients did not reach statistical significance, patients receiving high doses of the vitamin exhibited a significant, 36% lower hazard ratio for disease progression or death, the SUNSHINE study authors stated. “To our knowledge, this study is the first completed randomized clinical trial of vitamin D3 supplementation for the treatment of advanced or metastatic colorectal cancer, and the findings warrant further evaluation in a Phase III randomized trial,” they wrote. The researchers suggest that several potential mechanisms of action may explain the beneficial activity of vitamin D in colorectal cancer. The vitamin has been shown to induce apoptosis and counteract aberrant WNT-beta catenin signaling, which is a critical pathway in colorectal cancer development. Vitamin D has broad anti-inflammatory effects, and high levels of 25-hydroxyvitamin D may impact on the balance between regulatory and inflammatory T-cell responses.